Hands with phone. Close up. The woman types the message in phone. The river with boats on a background. 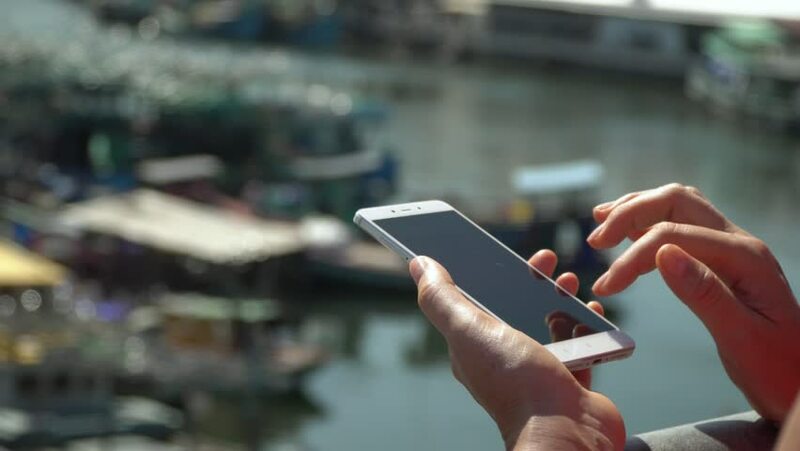 4k00:16A girl using a smartphone at seaside,boat sailing in the harbour. Hands with phone. Close up. The woman types the message in phone. Sunny day in Vietnam. 4k00:09Close-up of using a mobile phone. Young man checking emails on his commute to a job by the bus. 4k00:14Hands holding and using business smartphone CHROMA KEY. SLOW MOTION 120 fps 4K.